The Vanilla Workshop has been building bicycles by hand right here, in Southeast Portland, for 15-years. The Workshop houses three brands: Vanilla Bicycles one of a kind and built by Sacha, founder and lead builder; Speedvagen, our small batch race bike brand; and Coat Paint Shop, painting and powder coating for independent bicycle frame builders including Vanilla and Speedvagen. 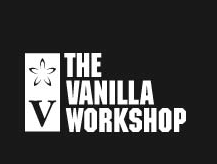 We do a lot of things here at The Vanilla Workshop. 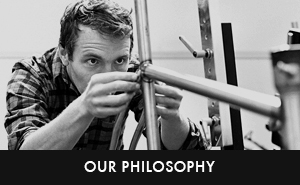 At the core of what’s going on are the design, innovation and refinement of the bicycles we make from scratch for our customers. Equally important to us though, is standard of living, happiness and fulfillment. This means having a quality of life that allows for time spent with family and friends doing the things that bring us joy. We like to stay active and have fun. Whether that’s a run together at lunchtime or an impromptu BBQ in front of the shop on a sunny afternoon, we enjoy each other’s company and believe quality comes from caring about what you do. We’re looking for someone who is organized, energetic, and hardworking. Someone who likes challenges, learning new things, follows through, is good-natured and who feels at home in a shop environment. A mantra at our shop is that if it isn’t going to be 100% not going to do it. As part of this, we will hire someone who is particular about detail and comfortable shifting between various tasks. - Prepping incoming frames for paint including masking and plugging. This job is going to be a good fit for you, and us, if you’re into bikes and love to learn how things are put together. You’re probably attracted to really excellent custom paint and metal work on bicycles, classic cars and pre-war motorcycles. You’ll like to get things done and have ideas about how to make them better. You also need to be able to lift a case of hand grenades, or about 50lbs. This is an entry-level position and base pay starts at $9.50 per hour. We have a good benefits package including 100% paid health insurance, profit sharing, and paid time off. The deadline for submissions is Friday, January 22, 2014. Posted on January 9, 2014 by Tom Rousculp and filed under Uncategorized.